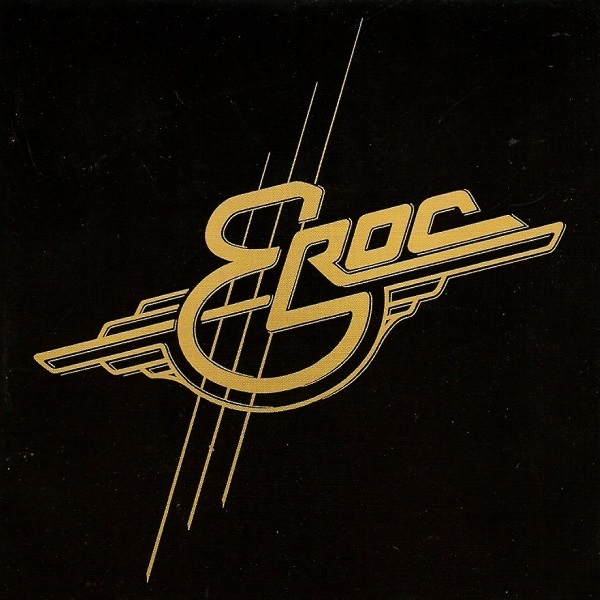 After 30 years Eroc’s solo albums are now available on CD and finally finding their way to the US in 2007. Eroc remastered them from the original tapes, added bonus material, and included liner notes in both German and English. Eroc was Grobschnitt’s drummer, songwriter, and sound engineer during the 70s and early 80s. 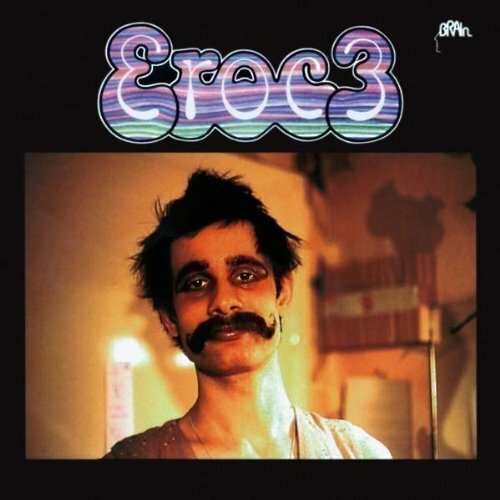 Starting in 1975, Eroc embarked on his solo career, and his first two albums contained music and electronic effects he had created for Grobschnitt’s concerts. When Eroc 1 was released in 1975, vinyl technology limited the amount of music that could be included on one LP. 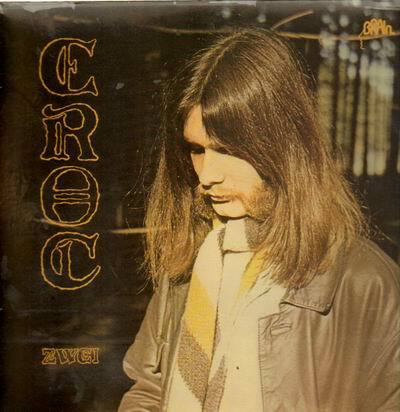 Eroc had recorded more tracks than could fit and so with this official reissue, Eroc has inserted the missing music with the original music as he had intended. Eroc 1 is an oddball combination of studio experiments and electronic compositions. The opening track is a recording of Eroc walking up several flights of stairs. The second track “Kleine Eva” is a 12-minute amateurish emusic noodle typical of people exploring synthesizers in the 70s. It is not very good and far too long. The remainder of the disc is actually quite interesting. The synthesizer and guitar pieces show creativity and have an edge that encourages you to keep listening. They sound like his German and French contemporaries (Michael Hoenig and Phillipe Besombes). The experimental stuff varies in quality. I am not sure of the value of including the stairway piece or the 46 second German conversation about mythical creatures (“Toni Moff Mollo”), but the sound collage of “Horrorgoll” is actually pretty cool keeping in mind that Eroc composed this piece using the traditional method of tape, radio, delay, and scissors. Eroc 2 was released one year later and it continues on from Eroc 1 though much rawer and experimental. The major difference is this album contains 30 tracks as opposed to the 13 on Eroc 1. Obviously, having 30 tracks means that most of them are a minute or less in duration, with one as short as five seconds. Eroc 2 is also a mixture of field recordings/studio experiments and interesting electronic and rock music. Recorded in Conny Plank’s studio, Eroc 2 contains some excellent music such as “Der Traum vom Wald” that was used by school classes to inspire essays and art. The experiments include sink recordings, rants, singing in a car, belches, reversed tapes, and clowning around on instruments similar to ZNR or Zappa. Eroc 3, appearing in 1979, was a compromise as Grobschnitt was occupying a great deal of Eroc’s time, not leaving much time for his solo efforts. Consequently he included a number of recordings of Grobschnitt rehearsals and late night jams. Eroc 3 is more rock oriented than his first two solo albums, but it still retains the experimental atmosphere of those albums. The high points for me are the signature “Wolkenreise” and “Crew Blues Session.” Unlike the first two albums, the bonus material on Eroc 3 was recorded between 2001 and 2004, so there is a marked difference in sound, quality, and atmosphere. While similar, each of these three albums is unique. We are fortunate to finally be able to purchase these CDs in the US.